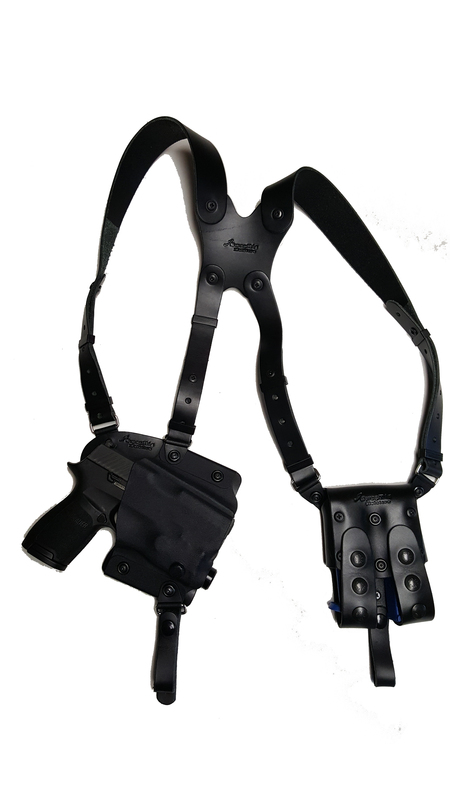 These complete holster rigs are a combination of a holster chassis and the requested model SwapSkin to fit your gun or guns. All SwapRig Hybrid holster Chassis are made of hand crafted premium quality leather, top quality corrosion resistant Black Oxide or Zinc Black plated parts and are designed to last a lifetime. The SwapTuck holster is an IWB (Inside the Waist Band) holster. Both the Revolution & the MiniSwap holsters are convertible to be carried IWB or OWB on any given day. The KYDEX SwapSkins are constructed of .60 heavy KYDEX. The SwapSkins are heat/vacuum formed to the specific model firearm you will be carrying. All SwapRig SwapSkins are completely compatible and interchangeable with all SwapRig Chassis.